protection against various status effects. This shield has the best stability of any non-upgraded shield in the game (Only a +4 or +5 Crystal Tower Shield is more stable, but at the cost of impractically low durabilty). 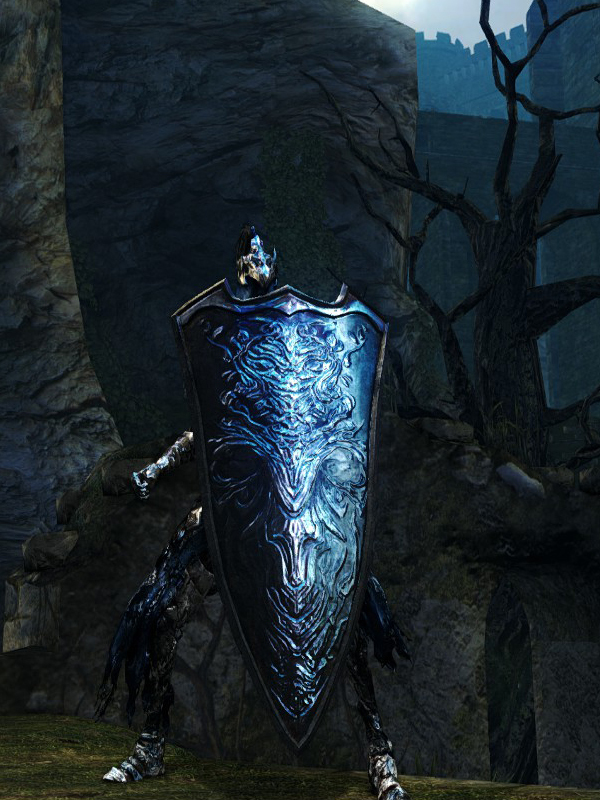 Requires only 34 strength and has a 16 weight rating, compared to Havel's Greatshield 50 strength requirement and weight rating of 26. Especially effective when combined with Strong Magic Shield. Blocking drains almost no stamina.